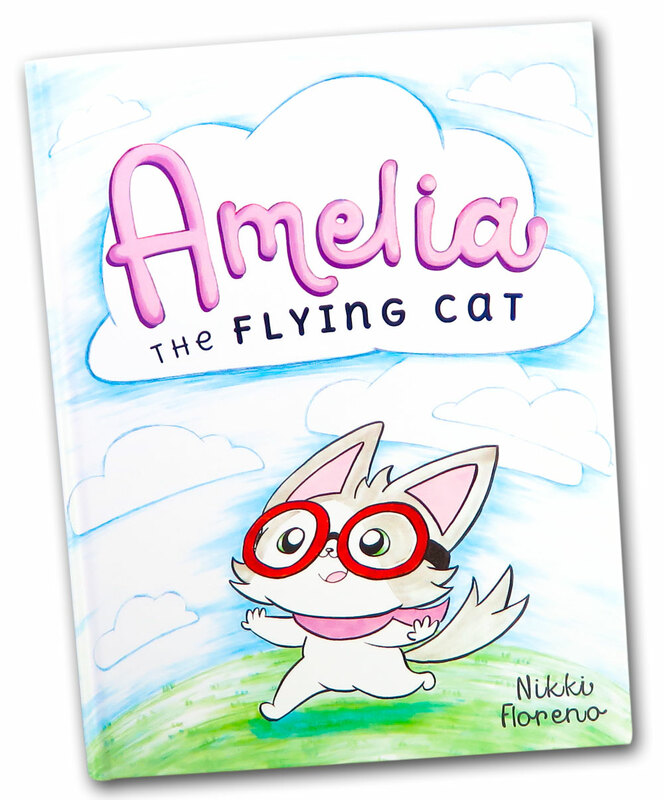 Amelia The Flying Cat exists thanks to our Kickstarter backers, people like YOU, who believed in this book. Thank you so much! Hardcover children's book, shiny book cover details, 32 pages. For ages 3-8, but enjoyed by little readers of all ages. You want to teach your kids about determination, trying your best, and perseverance through a "never give up" story, no matter how “different” they feel. Used by Adoption/Foster Care therapists from Bethany to help newly adopted children bond with their adoptive parents. 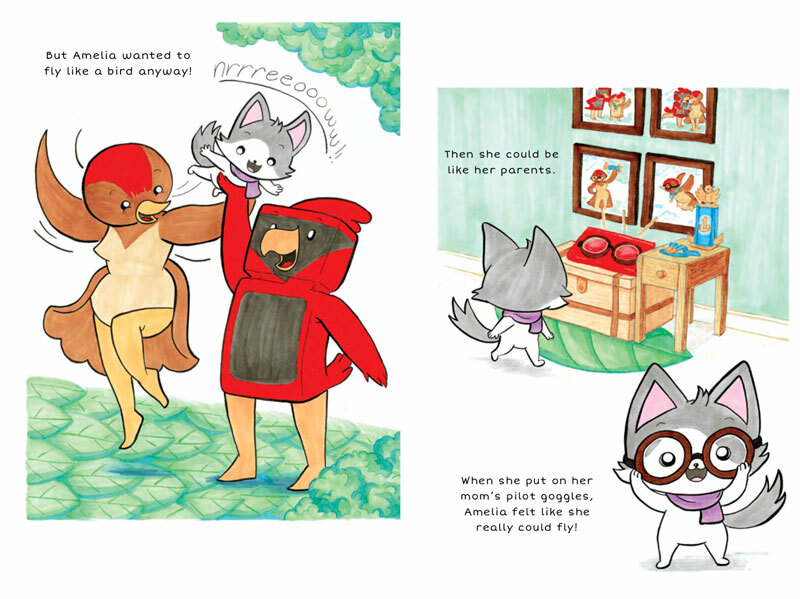 After all, Amelia's bird parents support and love her, no matter if she has fur or feathers. Want to give an EXTRA special baby shower gift? Shipped from the author and illustrator herself, so you can get an autograph or special book dedication when you order! 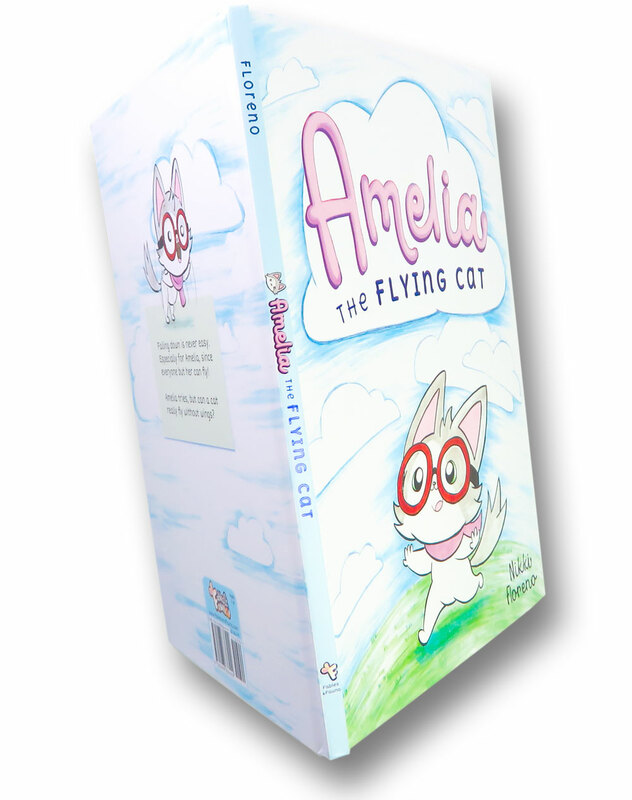 Spot gloss detailing over “Amelia” letters and cat character, indigo foil detailing over “the Flying Cat”, on both front cover and binding.